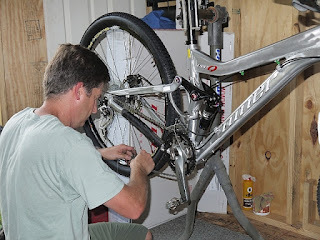 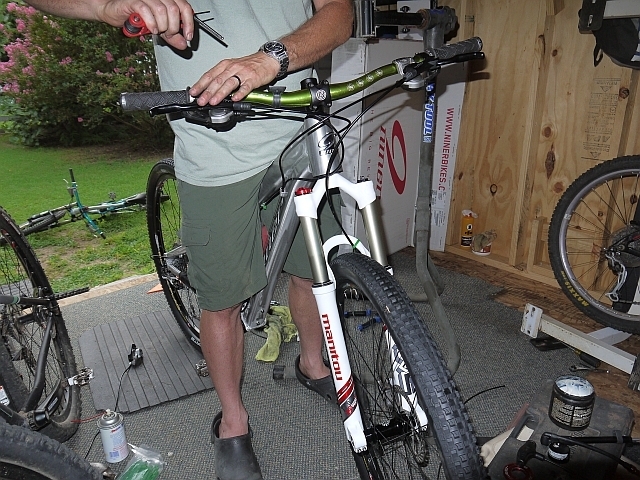 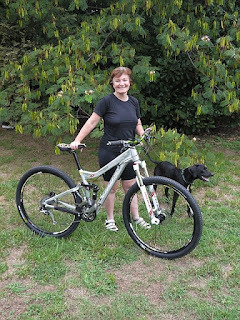 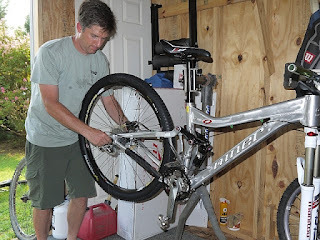 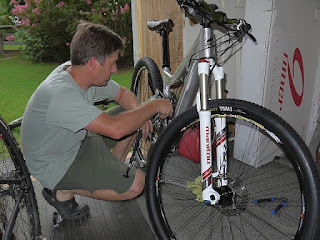 The straight carbon seatpost, scalloped brake rotors and delicately etched bashguard finally arrived and Steve, wonderful husband that he is, got the RIP 9 all dressed up and ready for the trails as a 2X9. 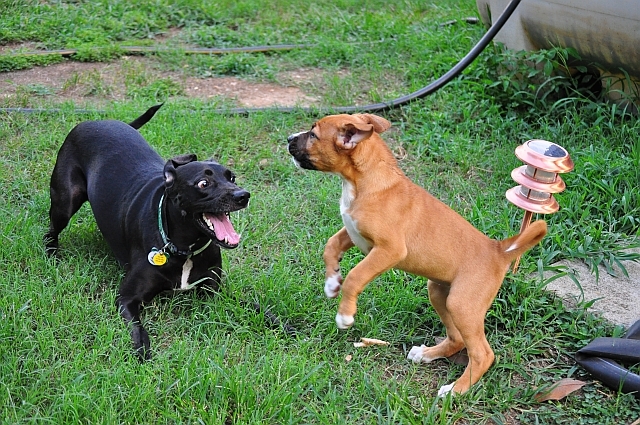 I could not be happier! 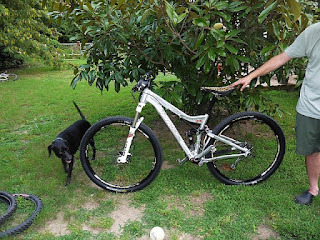 All Dressed Up and Ready to RIP! As (bad) luck would have it, I came down with a nasty cold the very next day after taking the RIP out for its brief initial ride last Monday, so I could only lie on the couch and look wistfully at that beautiful bike and the pleasant weather all week long. 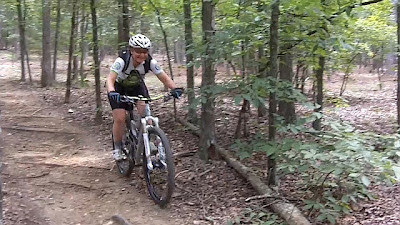 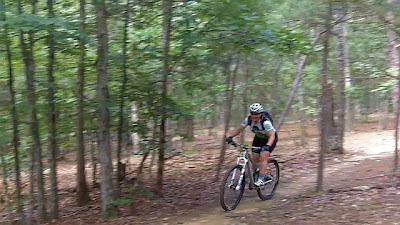 However, this weekend I finally felt well enough to head out to the trail for a more extensive test ride, so this morning Steve and I joined up with our friends Ajay and Carl who graciously offered to guide us around Carolina North Forest. 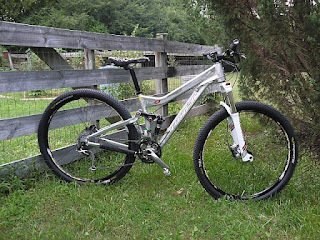 After 10 miles of singletrack boasting plenty of roots and rocks of all sizes, tough climbs, fast descents, tight turns, steep chutes followed by twisty wooden berms, skinny bridges and all variety of terrain and other nifty mountain bike trail obstacles, I can definitively say this bike RIPs! 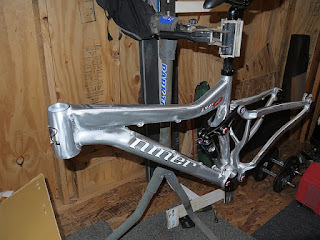 The flowy smooth sweeping sections were even more delightful on the Niner than any other bike I've ever owned - and that is quite a long list, I might add. 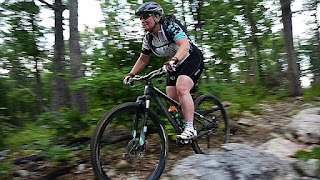 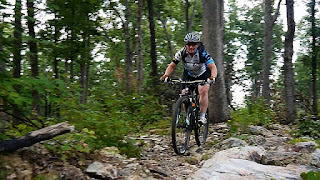 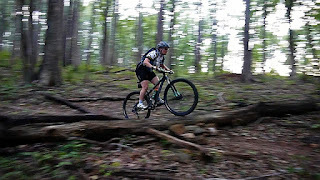 The descents, roots and rocks just seemed to disappear under the RIP, and I have never felt so confident on any bike in the nearly 20 years I've been mountain biking. 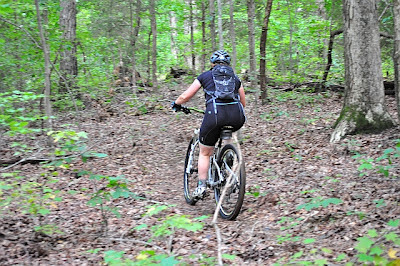 I never once had the sensation that the bike might not be able to clear any obstacle I tried, and I didn't give a second thought to just rolling right through sections that previously I would not have even considered trying to ride, like some of the skinny bridges with difficult angled entrances, rock gardens, chute type drop-ins, rocky rooty climbs and bigger logs that I normally used to walk. 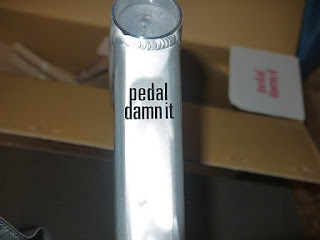 I think it's pretty awesome too! Can't wait to get out on the trails. 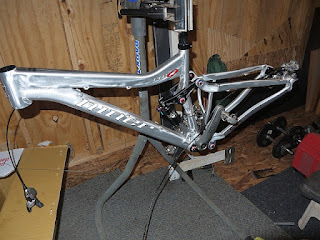 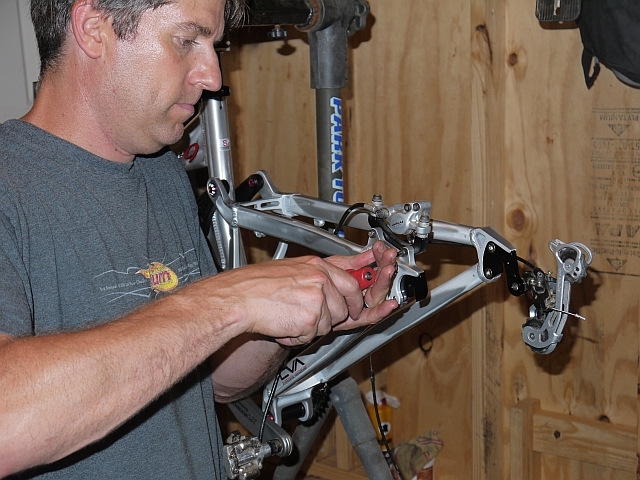 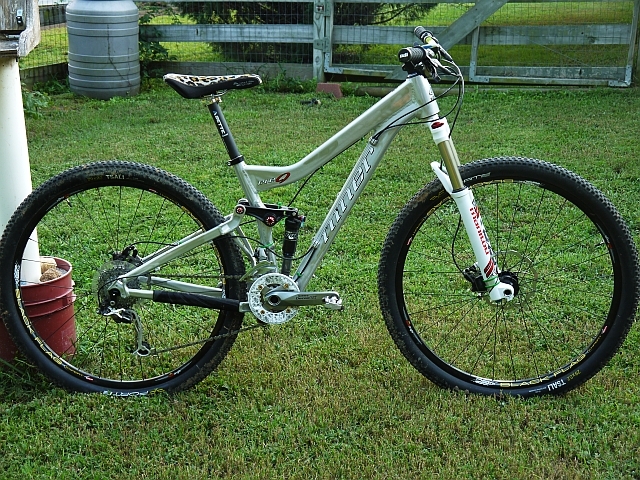 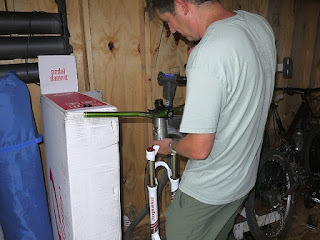 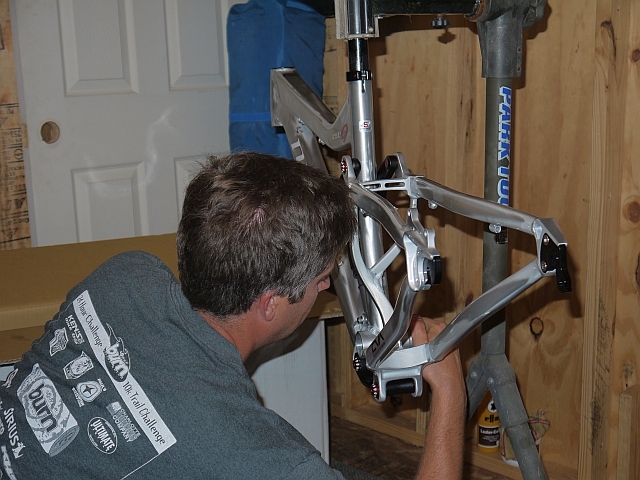 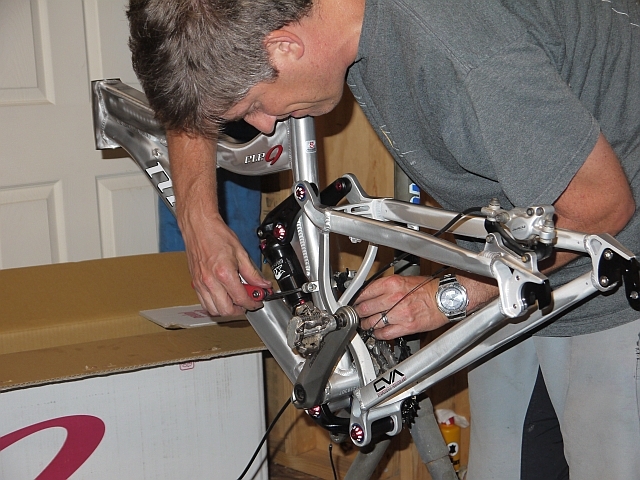 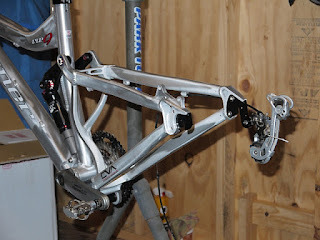 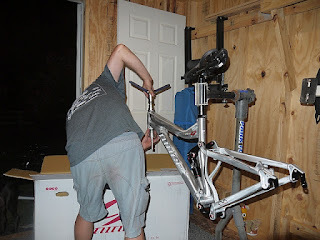 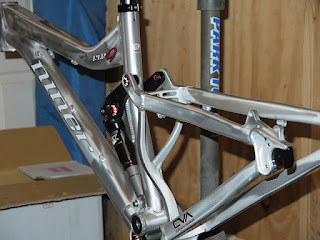 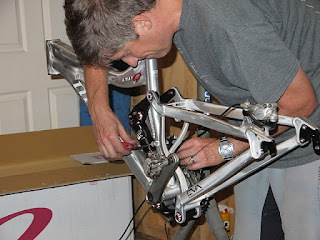 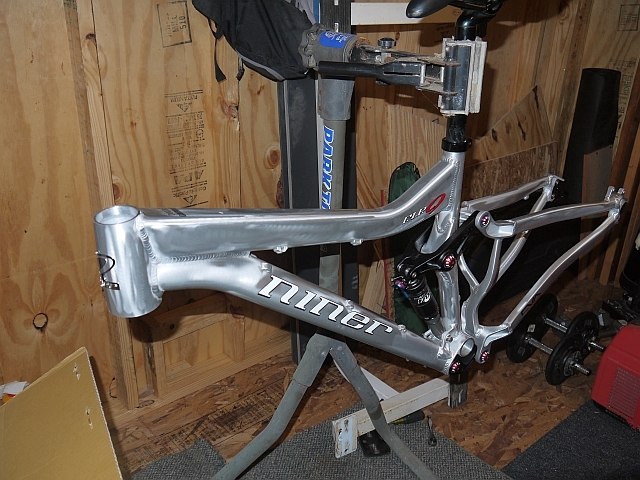 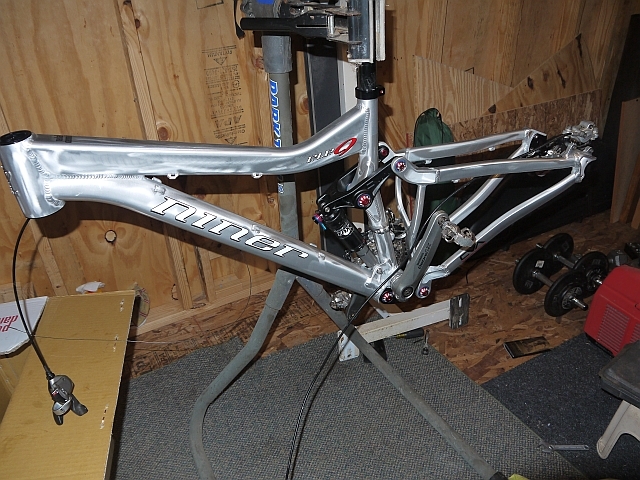 With the arrival of my new Niner RIP 9 frame, the build began this evening. 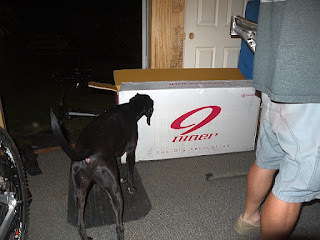 Fry was quite excited when we brought the box in. 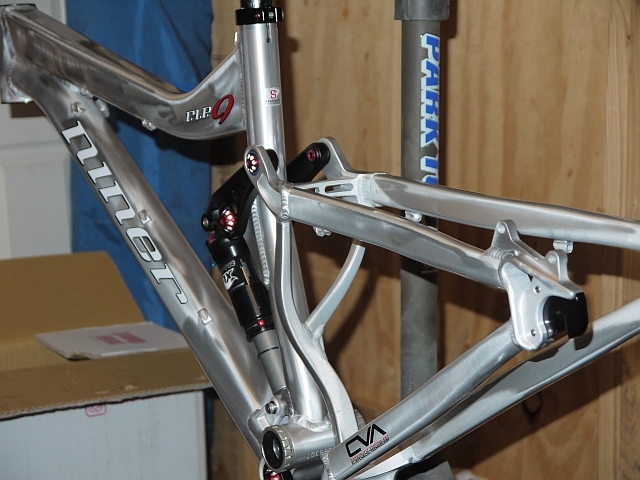 The frame itself is quite frankly a work of art in my humble opinion. 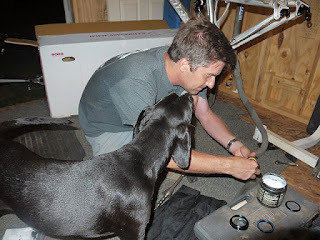 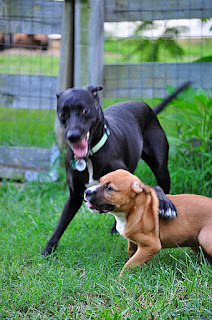 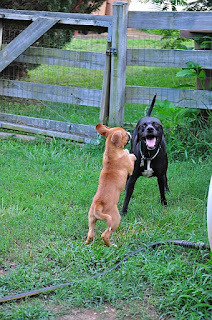 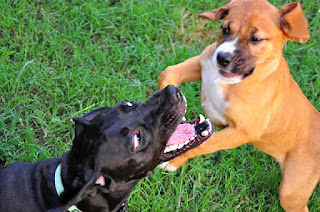 You're doing a good job Daddy! 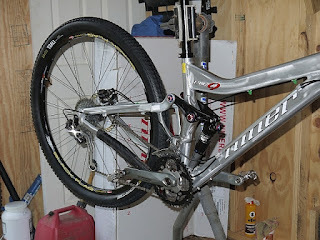 Time for the cranks, pedals and temporary chainrings - I'm switching it to either a 1X or a 2X once I decide which I prefer. Rear disc brake. 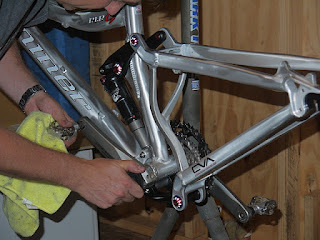 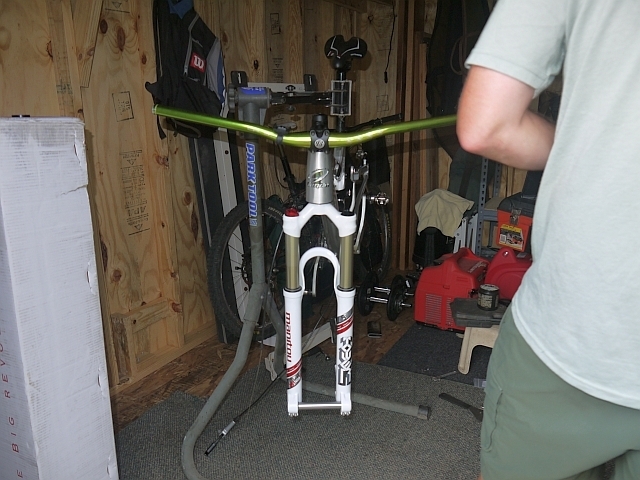 The front will go on once the fork arrives. 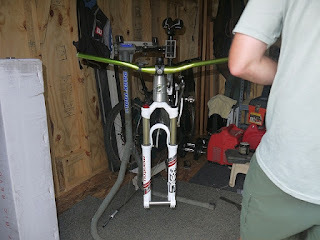 All finished for Day One - Many thanks to the Best Husband Ever for working late into the night on this. 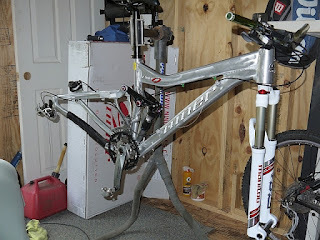 More to come with the arrival of the fork and wheelset. 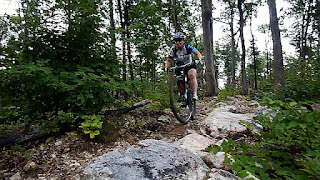 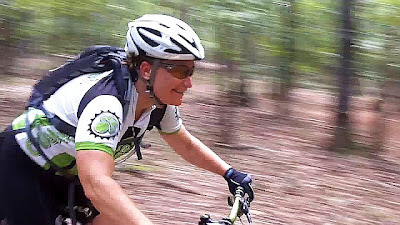 It's been a slow process trying to regain years of lost fitness and bike handling skill, but after several months of heading out to the trail almost daily, on albeit slow and short rides, I'm finding that old joy gradually but surely coming back. 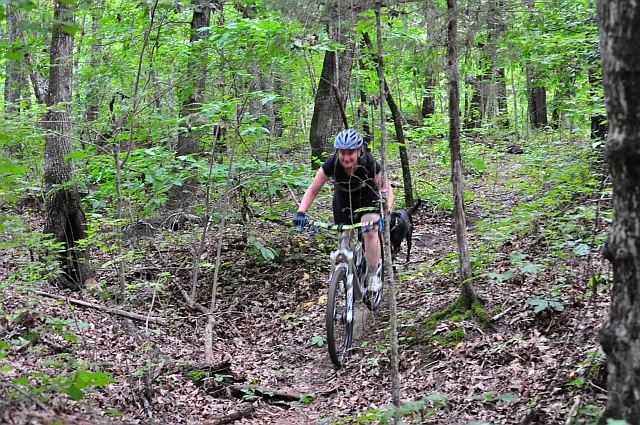 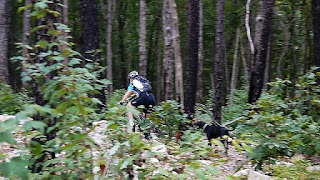 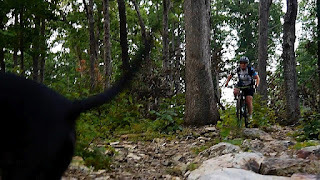 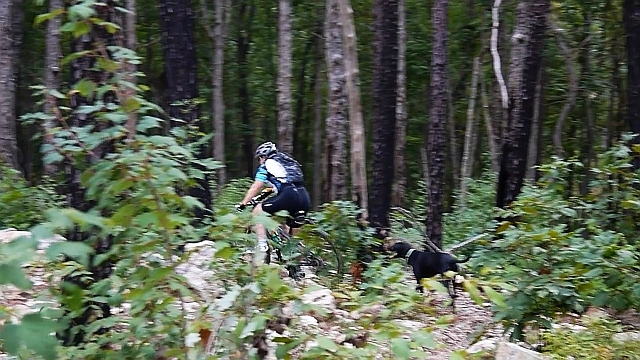 With the assistance of course of my constant biking companion, Fry, I'm quickly gaining confidence on sections of trail that had previously always unnerved me. 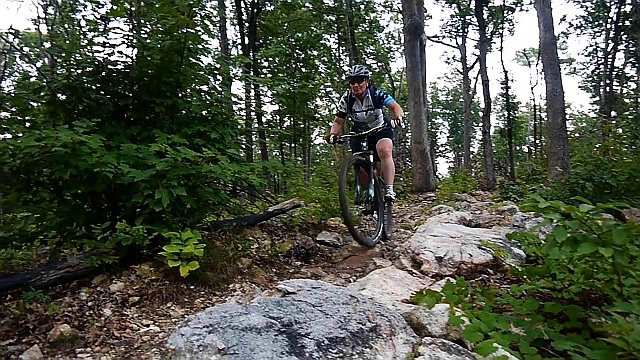 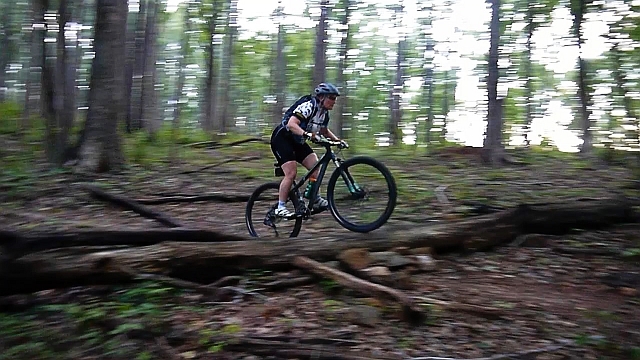 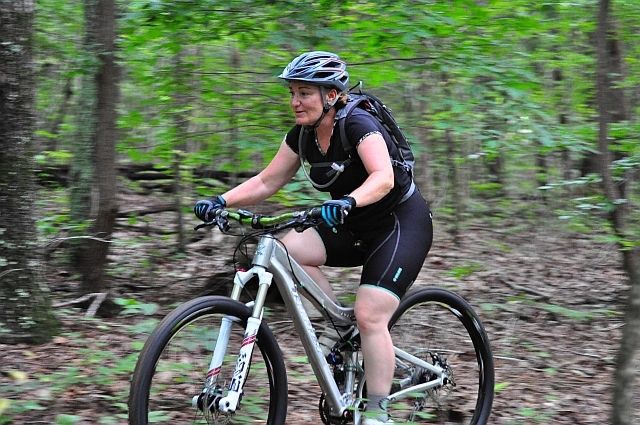 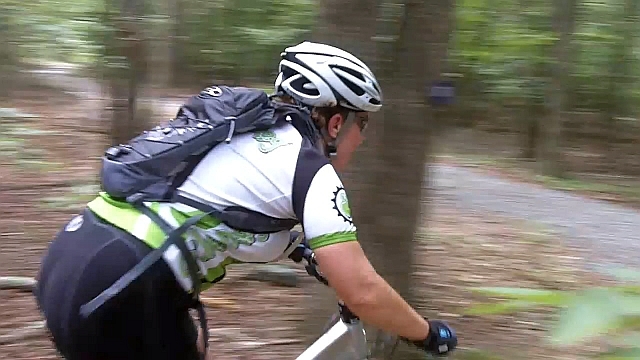 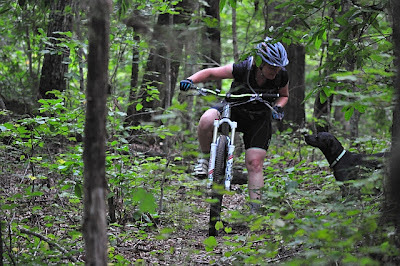 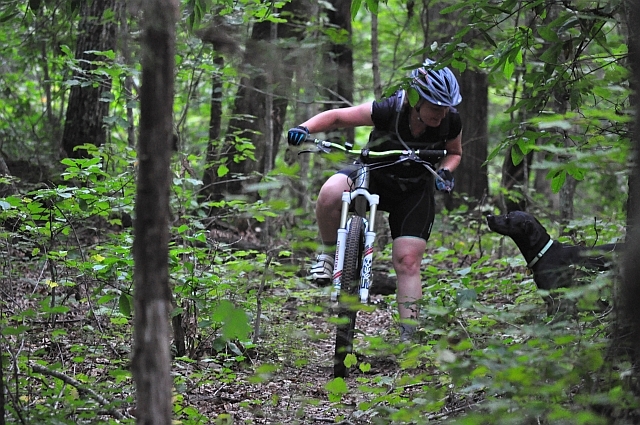 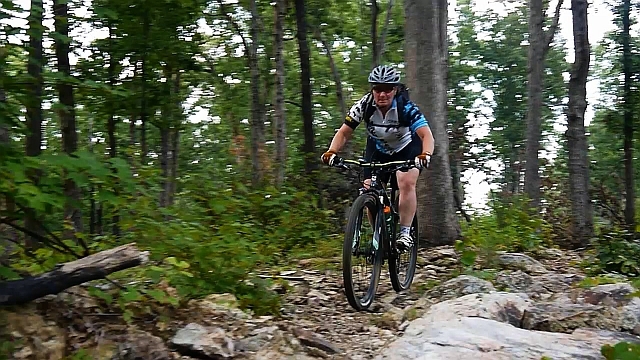 Even on the hardtail, I'm finding it easier to relax because riding is fun for me again.